Keyblade wielders will be able to participate in the following Halloween events to earn powerful items, costumes, and more. Jack Skellington, Halloween Town Sora, and other favorites will also be making appearances all month. Jack Skellington Medal Event (Oct. 1-16) – Defeat special Halloween-themed Heartless enemies in these special event stages to earn a Jack Skellington Medal. Weekend Raid Events All Month (Oct. 1-30) – Each weekend, battle the mighty Hocus Pocus raid boss to earn Chip, Dale, and Moogle Medals, which can be used to upgrade character Medals and earn Munny. Coliseum Ranking Prizes (Oct. 1-31) – Complete ranking quests in the Coliseum to earn powerful skill upgrades and special Vampire outfits. Extra Coliseum Event (Oct. 3-9) – High-level players can earn Gems to upgrade their Keyblades by challenging Cloud and other powerful enemies in the Coliseum during this event. 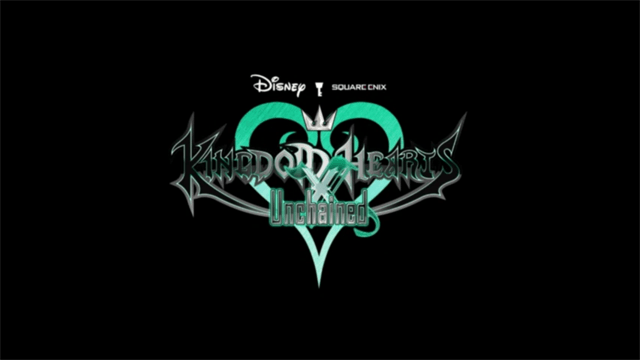 In KINGDOM HEARTS: UNCHAINED χ, players are armed with Keyblades and traverse iconic Disney worlds to battle armies of Heartless. Along the way, players can collect, fuse and evolve hundreds of Medals that contain the power of Disney and Square Enix heroes and villains to customize the attack style of their Keyblades, partner with other players in guilds to take down Heartless bosses and much more. KINGDOM HEARTS: UNCHAINED χ is currently available now through the App Store for the iPhone, and Google Play for Android devices. The game is free-to-play, with in-app purchases. Previously, it was available only in Japan as a web browser game in 2013, but recently found its way to North America April 7 of this year.